Background: Cone-beam computed tomography (CBCT) technology has been a useful tool for decreasing dental treatment complications and ensuring more predictable treatment outcomes. Objectives: This study aimed to assess the prevalence of maxillary sinuses status in regard to anatomical variations and pathosis using CBCT as a diagnostic tool, in asymptomatic patients who are willing to receive dental implants at King Abdulaziz University Dental Hospital in Jeddah, Saudi Arabia. 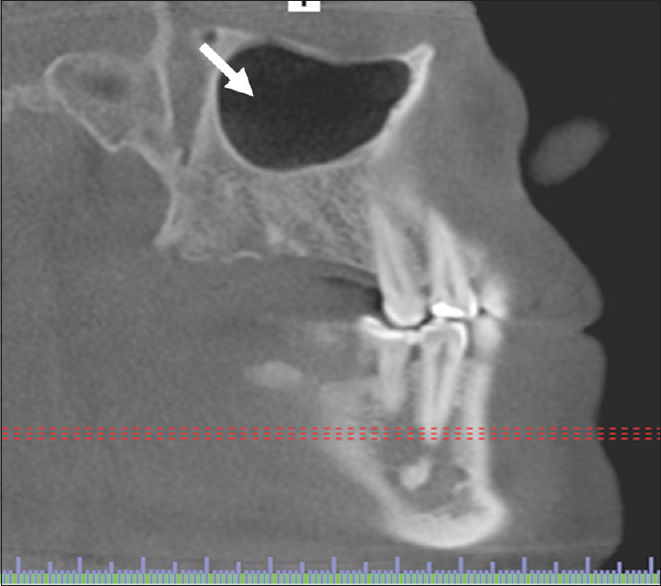 Materials and Methods: Both sinuses in 263 patients (140 females and 96 males) were evaluated using iCAT Classic scanner to acquire the total of 526 CBCT images. 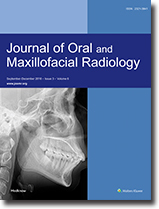 Two calibrated dental radiology consultants evaluated the CBCT of the maxillary sinuses images using the Vision software (Imaging Sciences International, Hatfield, PA, USA) for the following finding: number of teeth in intimate relation with the maxillary sinus and the presence of septa (as anatomical variations) and the presence, extent, and configuration of mucosal thickening (MT) as sign of pathosis (mucositis). 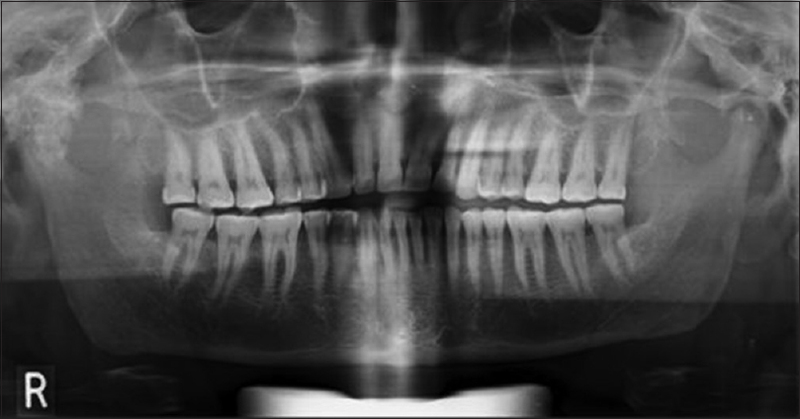 Results: The highest prevalence of dental proximity to the sinus wall was between the first left premolars and the anterior sinus wall (57.14%) followed by the second right premolars (56.14%). The presence of septa in both right and left maxillary sinuses was 54.37% and 57.41%, respectively. The prevalence of sinus pathosis was 52.7%. Interestingly, 87.07% of the MT cases were due to nonodontogenic origin compared to 12.93% of odontogenic-related pathosis. Conclusions: Preoperative radiographic assessment using CBCT is highly recommended before dental implant placement in our population due to the high anatomical variations and pathosis rates, to allow proper assessment and diagnosis of maxillary sinus disease, if present. 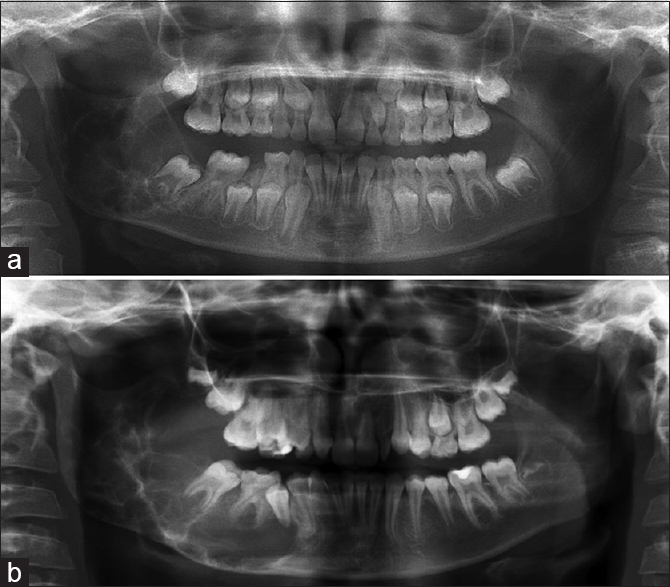 The assessment of maxillary sinus disease before surgical intervention will provide a higher standard of care and decrease the risk of complications and failures of dental implants. With the advent of different imaging examinations, one can avoid misleading diagnosis and inadequate treatments of lesions, such as nasopalatine duct cyst (NPDC). The objective of this article is to report a case of NPDC in which different imaging means were used for diagnosis, treatment, and postoperative follow-up of the lesion. Radiograph of a 20-year-old female patient showed a radiolucent heart-shaped area near the apices of the upper central incisors. Diagnostic hypothesis of NPDC was based on clinical examination and imaging analysis of the lesion. The treatment consisted of enucleation of the lesion after volumetric study, which enabled visualization of its relationship with surrounding noble structures. The diagnosis was confirmed by means of histopathological examination. Differential diagnosis of NPDC was well grounded before intervention, and the lesion was studied in detail using three-dimensional volumetric tools, giving effectiveness and safety to the treatment. Synovial chondromatosis (SC) of temporomandibular joint (TMJ) is a rare benign disorder in which mesenchymal remnants of synovial tissue undergo cartilaginous metaplasia. It is usually confined to the superior joint space; however, it can occasionally extend beyond the joint capsule into the cranium, parotid gland, infratemporal fossa, or external auditory meatus. SC of TMJ with intracranial invasion is very rare. Few cases with such large extent of the disease have been reported in the literature. In this report, we present the clinical features and imaging findings of a rare case of TMJ SC perforating the glenoid fossa leading to communication with the base of the skull. This case report attempts to identify clinical characteristics of intracranial extension and highlighting the various imaging modalities which aid in the diagnosis of SC. Cherubism is an autosomal dominant fibro-osseous disease of childhood that is more common in males and is characterized by a painless bilateral expansion of the mandible and/or maxilla. The disease progresses through puberty and then stabilizes or regresses. It has been mapped to chromosome 4p16.3 with a pathogenesis attributed to a mutation of the SH3BP2 gene. Heterozygous cherubism mutations occur either as de novo mutations or are inherited as an autosomal dominant trait. Except for extremely rare cases, cherubism is always bilateral. Treatment is generally “watchful waiting” but surgical intervention may be considered. 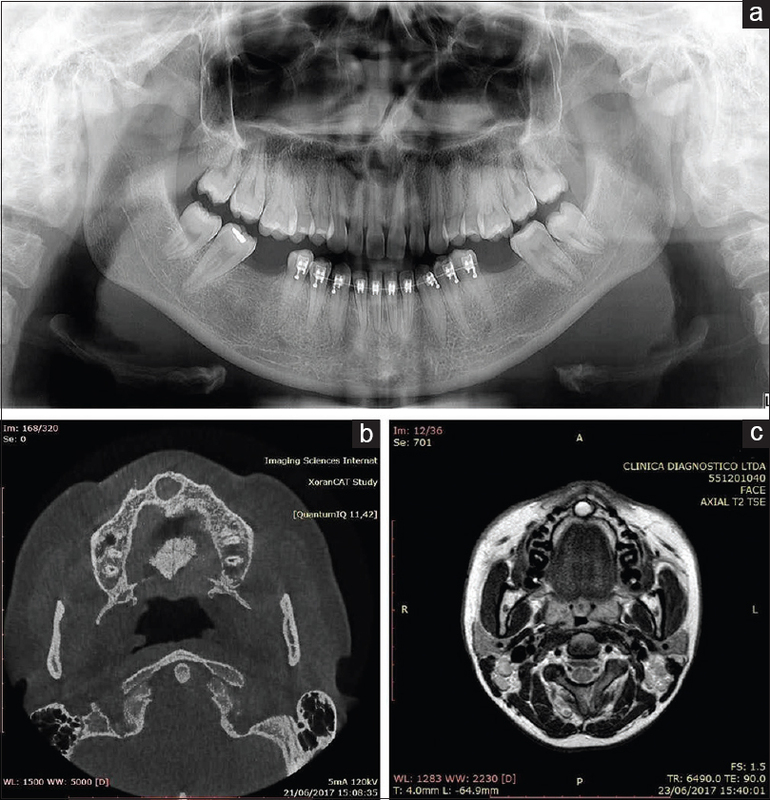 We present a case of unilateral cherubism in a family with a history of bilateral cherubism. To the best of our knowledge, this is the first documented case of unilateral cherubism with the SH3BP2 mutation.